If you’re going to Ariana Grande’s “Sweetener Tour” at Rogers Arena on April 27th, here’s a heads up! 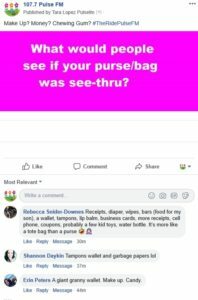 Because organizers do not want a repeat of the Manchester Concert bombing at any of her future shows… For safety reasons, the only kind of bags you’ll be allowed to bring into Rogers Arena for the Ariana Grande concert are clear “see through” bags and “see through” purses. Which means, Ziplocks yes. Clear plastic bags yes. 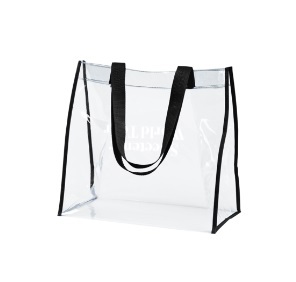 “See through” bags you can buy at Ariana Grande’s website, Thank you, Yes. Today on #TheRidePulseFM, we asked if your bag OR purse was see-through on a regular basis, what would people see?